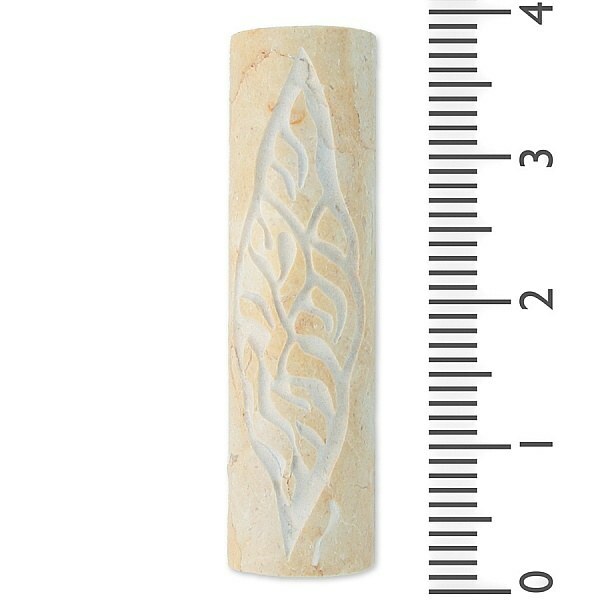 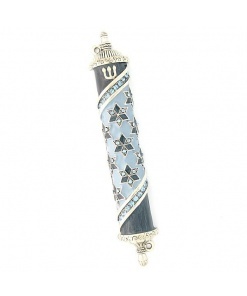 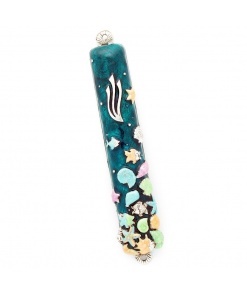 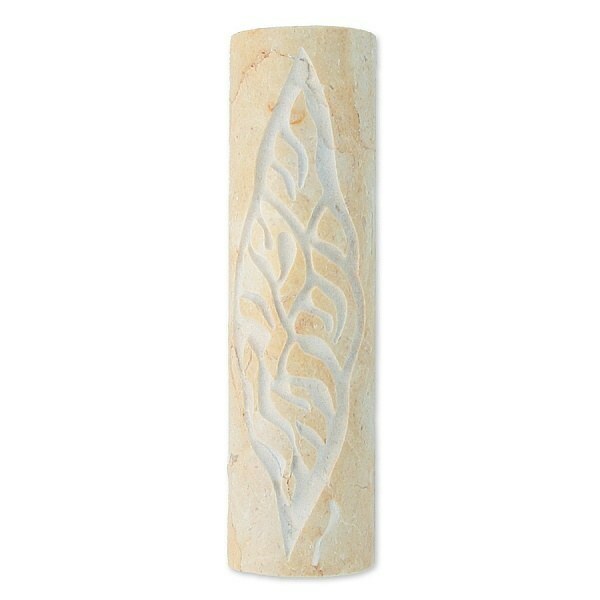 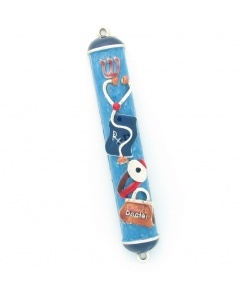 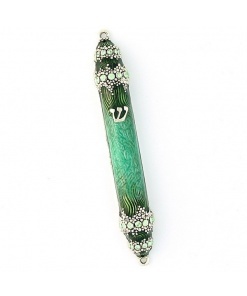 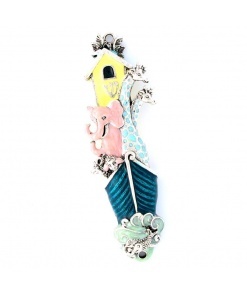 This Mezuzah Casing is made of natural Jerusalem stone carved in Israel. 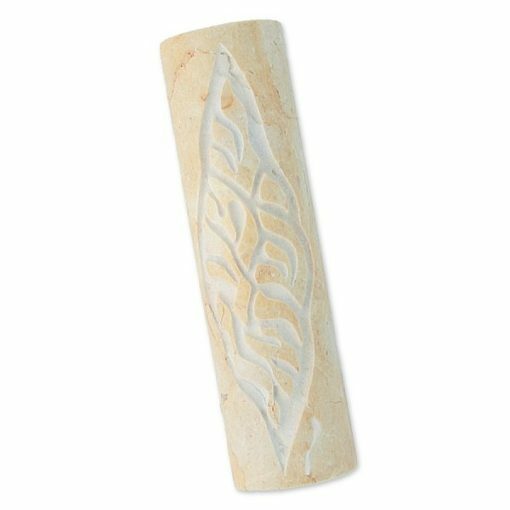 It had been specially treated in order to recreate the feeling of weathered stone, still found today in archeological excavation at sites that date back to biblical times. 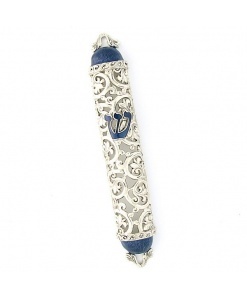 It has been decorated with an original graphic design inspired by ancient ethnic motifs from the region.